The Nelson-Atkins has more than 1,100 objects of South and Southeast Asian art, Himalayan art and Islamic art from West Asia. The collection represents a wide range of art forms, including sculpture, ceramics, textiles, metalwork, and works on paper that date from the 3rd century B.C.E. to the 21st century C.E. The collection began with the acquisition of Southeast Asian sculptures and more than 300 Persian and Indian textiles from the van Nemes collection in 1931. 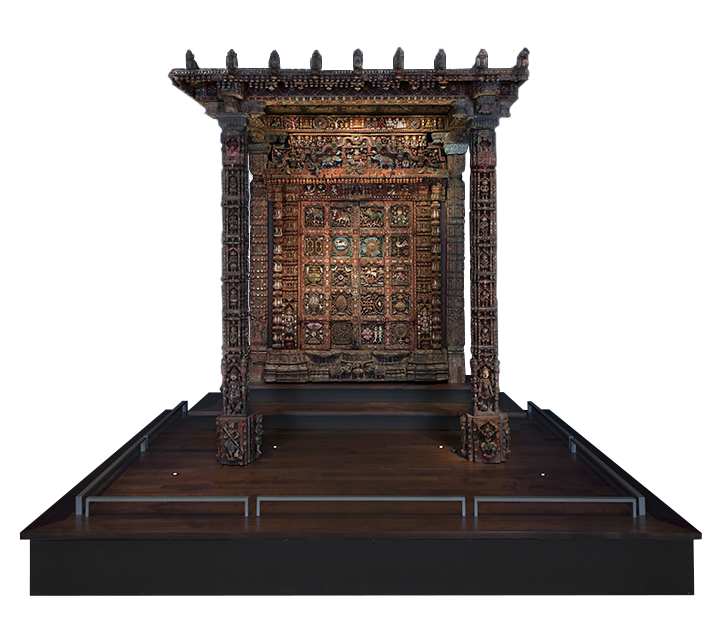 In the original 1933 installation, these works were presented in two period rooms, a “Persian Room” and the “Hindu Temple Room,” which is still in place where the Indian galleries are today. 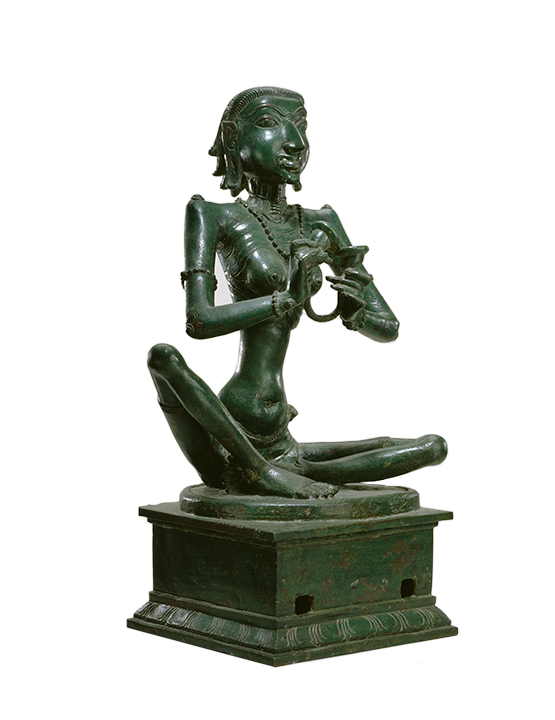 Sculpture is one of the great strengths of the collection, which features excellent examples of stone, bronze and metal sculpture from India, Nepal, Tibet, ancient Gandhara (modern Pakistan and Afghanistan) and peninsular Southeast Asia. The museum also is home to a small but significant collection of works on paper representing the Persian, Mughal and Rajput traditions. Significant highlights include the purchase of two folios from the Mughal Gulshan Album 1948 and the gift of nearly 150 Tibetan and Nepalese sculptures, thangkas and ritual objects through the bequest of Joseph H. Heil in 1974. Recent acquisitions include a sculpture of Shiva and Parvati gifted by Dr. Roopa Bansal, a Jain manuscript, drawings and furniture from Colonial-era India and examples of contemporary Islamic-inspired art. 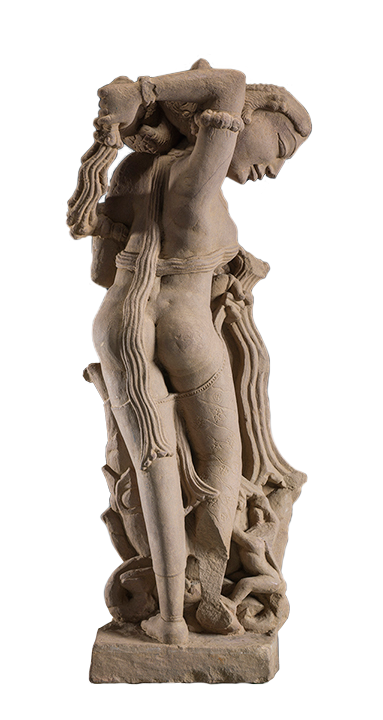 Celestial Woman Undressed By a Monkey, Central India, Madya Pradesh, Khajuraho region, Chandella Dynasty (900–1203 C.E. ), ca. 975–1000. Buff sandstone, 23 3/4 x 10 1/4 inches. Bequest of Mr. and Mrs. George H. Bunting Jr., 81-27/26. Salim Quli, Indian (active ca. 1590-1605), attributed to Lal, Indian (active ca. 1590-1605), Calligrapher: Fakir Ali, Indian (active ca. 1590-1605). 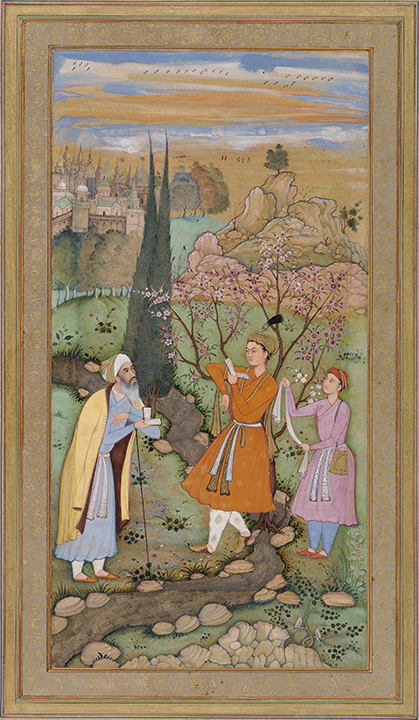 Leaf from the Muraqqa Gulshan: The Poet and the Prince (recto) Calligraphy (verso), 1595-1597, Agra or Allahabad (Mughal), Akbar period (1556-1605). Watercolor and gold paint on paper, 16 5/8 x 10 1/2 inches. Purchase: William Rockhill Nelson Trust, 48-12/1 A,B. Karaikkal Ammaiyar, a Shaiva Saint, Indian, Tamil Nadu, 11th century. Bronze, 19 5/8 x 8 7/8 x 5 1/2 inches. Purchase: William Rockhill Nelson Trust, 33-533. Abd Allah Musawwir, Persian (active mid-16th century). 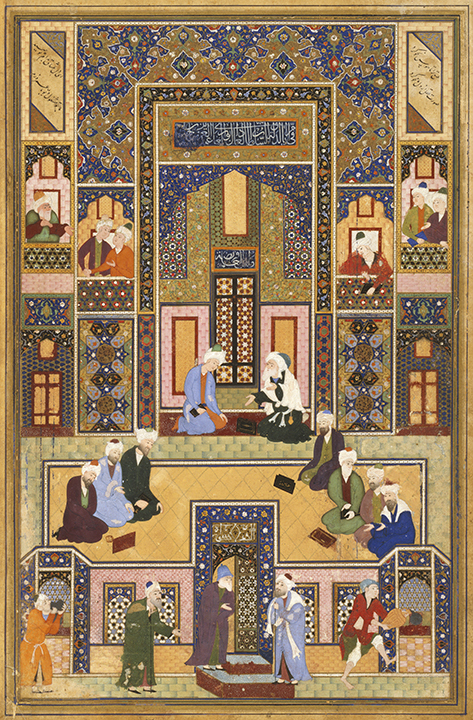 The Meeting of the Theologians, 1540-1550. Bukhara, Uzbekistan, Shaybanid Dynasty (1500-1598). Opaque watercolor and gold on paper, Persian inscriptions in Thuluth and Nastaliq scripts, image: 11 3/8 x 7 1/2 inches. Purchase: William Rockhill Nelson Trust, 43-5. 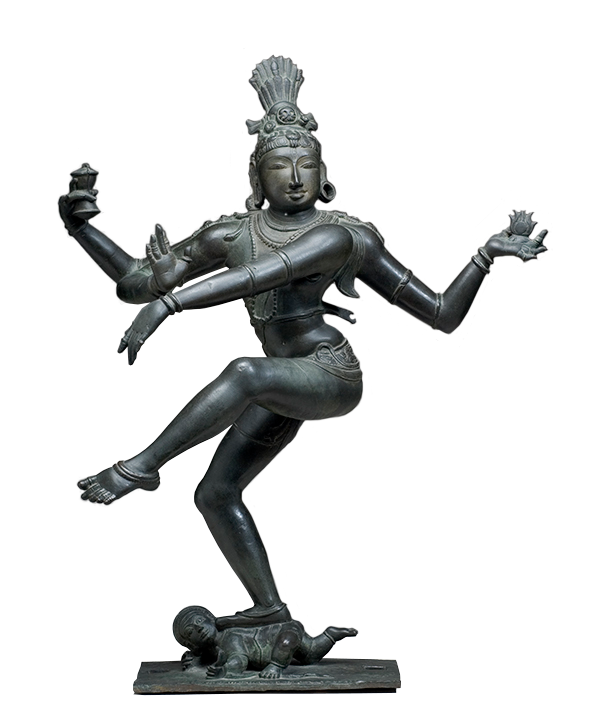 Shiva Nataraja, Indian, Tamil Nadu, 13th century, Chola period (ca. 890-1279). Bronze, 34 1/4 x 27 1/2 x 13 inches. Purchase: William Rockhill Nelson Trust, 34-7. Gallery 228. Attributed to Master Muhammad Siyah Qalam, Persian (1469–1525). 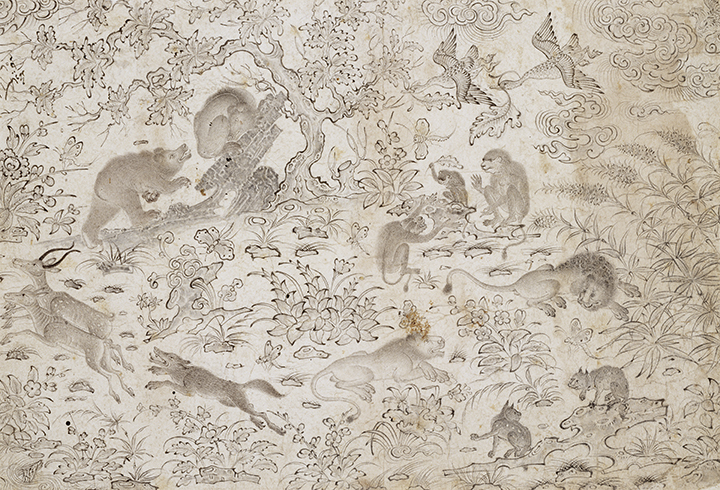 Birds and Beasts in a Flowery Landscape, late 15th century, Turkman School (1419-ca. 1510). Ink on paper 6 1/2 × 9 3/4 inches. Purchase: Nelson Trust, 43-6/2. 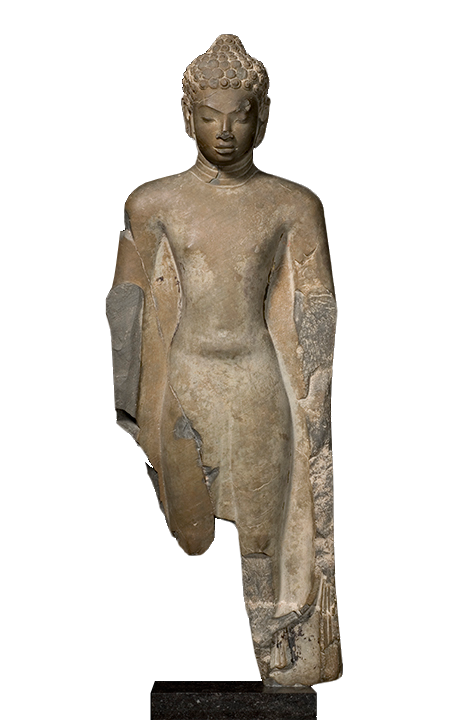 Standing Buddha, Northern Thailand, found near Chiang Mai, Dvaravati period (ca. 500–900 C.E. ), 7th–8th century. Mon-Dvaravati style, Gray limestone, 51 1/2 x 18 x 6 inches. Purchase: William Rockhill Nelson Trust, 35-33. 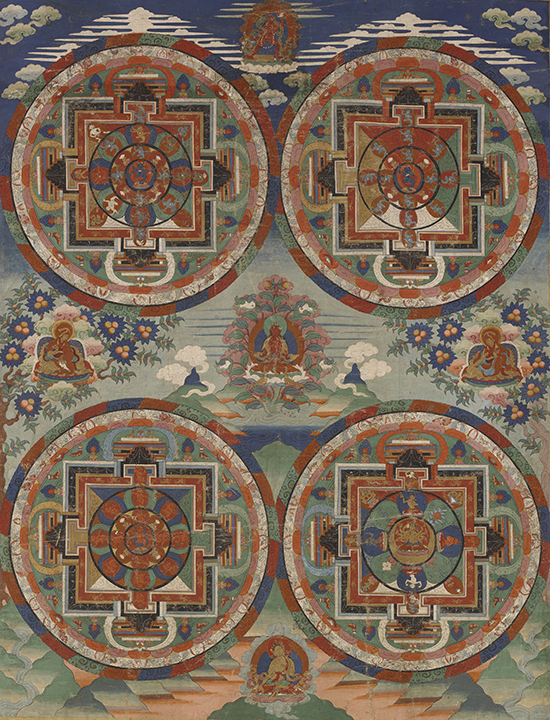 Four Mandalas, Central Tibet, 18th century, Menri Serma style (16th–20th century). Thangka: colors on cotton, mounted on silk brocade 31 3/4 × 24 inches. Bequest of Joseph H. Heil, 74-36/16. 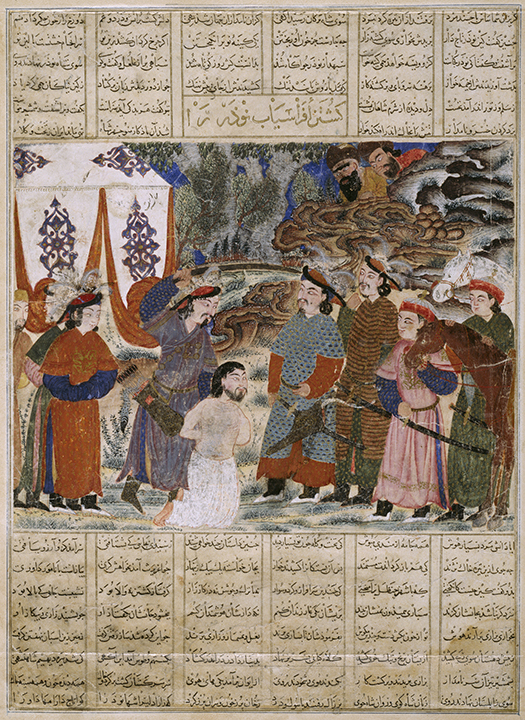 Afrasiyab Killing Naudar, a folio from the Great Mongol Shahnama (Book of Kings), Persian, ca. 1335, Ilkhanid period (1256-1353). Watercolor and ink with gold and silver leaf on paper, image: 8 15/16 x 11 3/8 inches. Purchase: William Rockhill Nelson Trust, 55-103. Domestic Jain Shrine, Gujarat, India, 16th century. Wood, polychrome paint, gold leaf and mirrored glass, 80 3/4 × 71 1/2 × 51 inches. Purchase: William Rockhill Nelson Trust, 32-136.